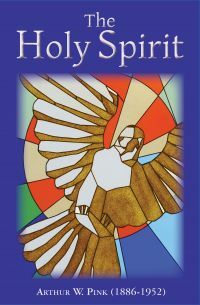 The Holy Spirit is a classic expository study of the person and work of the Holy Spirit. First, the Spirit is presented as the Third Person of the Trinity: definitely a Person and not a mystical spiritual “force.” As part of who He is, His deity, titles, and covenant-offices are examined. Then, the work of the Holy Spirit is presented in relation to Christ: always to glorify Christ and manifest Him to the believer, in both objective and subjective aspects of His ministry. In salvation: regeneration, quickening, enlightening to truth, convicting of sin, comforting instead of self-comfort, drawing to faith (and in fact granting faith), ending in spiritual peace and joy. Then the very practical aspects of sanctification: teaching, cleansing from sin (mortification), leading, assuring, interceding, and preserving until Christ returns.